OPINION: The world in this decade is a better place than it’s ever been before. This shouldn’t even be controversial, but it is. Sadly, this opinion isn’t a popular one—especially among the youth of today. The whole world’s ending, and *insert latest news story* will be the cause of it. Oh God no, racism’s on the rise, everything’s on fire and immigrants/corporations/terrorism/guns/the alt-right are to blame. With cable news increasingly run like sports commentary, it’s not surprising that contemporary outlook on the future is bleak. 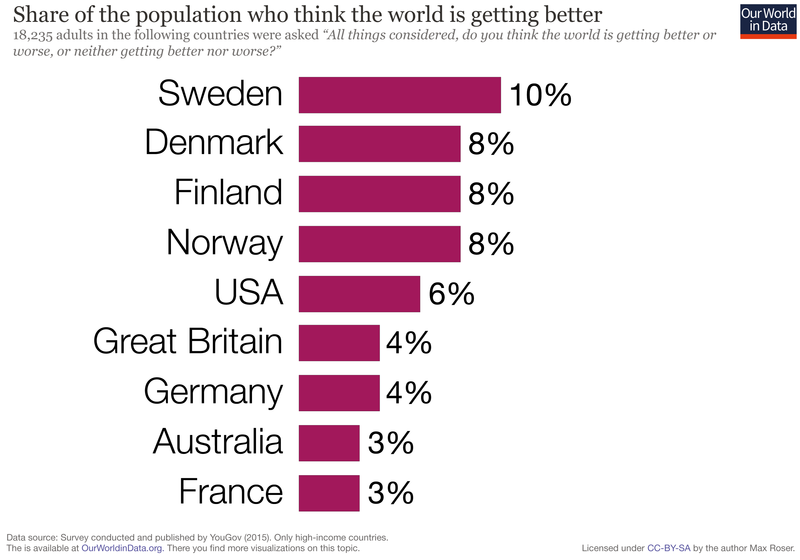 Today, only 6% of Americans believe that the world is getting better. Yet the facts overwhelmingly indicate otherwise. The world is better than it’s ever been and is continuing to get better and better. Racism isn’t on the rise, it’s just that today nearly everyone has a pocket-sized camera-computer on them to document instances of it. In the grand timescale of civilized history, the share of people in poverty has plummeted virtually overnight. In the 1950s, the decade and world my own father was born into, 75% of the world’s inhabitants were still living in extreme poverty. Today, less than 10% live in extreme poverty. The situation with the world’s literate population looks just as optimistic. From going from a world where only a select lucky few were literate, now 4 out 5 of global inhabitants are able to read and write. Political freedom has consistently gone up, more people inhabit democracies than ever before, and the long legacy of colonialism is beginning to be forgotten. Unfortunately, “OBESITY EPIDEMIC PLAGUES AMERICA” is more of a catchy headline than “For The First Time In History, More Die From Eating Too Much Than Too Little.” “Inequality in America At ALL-TIME HIGH” is more eye-catching than “Between 1981 and 2008, 600 million Chinese Lifted Out of Poverty.” Heck, misrepresentative reporting has led to 2/3 of Americans wrongly believing that the share of those in extreme poverty has doubled. What’s going wrong will always be more alluring than what’s going right (which tends to be most things). But media isn’t the tell-all problem with our skewed perception of global affairs. The problem stems from the way our minds are wired to handle information. News is business, business is market-driven, and the market is subject to the whims of supply and demand. With a virtually infinite reservoir of information as our supply, the entity behind trend-specific demands is the human psyche. Rather than media creators being the cause for a skewed perception of human progress, media creation reflects humanity’s own implicit negativity bias. For much of the youth of this day, it’s easy to become complacent and bitter about the modern state-of-affairs. Much of the news the average citizen consumes pushes the narrative that the fate of the future; the fate of democracy hinges on what the incumbent political regime is doing, whoever that incumbent may be. It’s far too easy for the left to sour up over the notion that conservatives are dismantling the post-war global order, and it’s easy for conservatives to get riled up over the notion that the left is doing away with the stability that traditional values have seemingly afforded the majority. Regardless of the political discourse, numbers are numbers. But while numbers are numbers, it’s still important to remember that numbers are just numbers. They aren’t good at making observers care or take in the trends and patterns displayed. All the databases needed to convince the general public that the world is, in fact, getting better and better are right at hand. The problem with data in today’s fast-paced world is that it’s often behind a paywall, or just plain boring. With little to no personal ties to humanity’s great progress, it becomes difficult for many of us to care much about the decline of war and child mortality. Men well-versed in the fields of statistics or visual cognition like Steven Pinker and the late Dr. Hans Rosling may attempt to bridge this gap, but the fact of the matter remains: numbers are just numbers. I find it difficult to be complacent about the world of today just because of how much progress has been achieved in only a generation of my immediate family. The world my father was born into and the world I was born into are vastly different. My father was born into a newly independent former crown colony: 8-year-old Ceylon. Democracy in the nation was still in its infancy, my father was a member of a minority ethnic group that faced marginalization just because of his language of common discourse, and the life expectancy in the country was a meager 54 years. Amidst ripe ethnic and religious tensions, his country was plunged into a civil war that lasted a quarter of a century and faced a diaspora of opportunity-seeking men and women. Today, nearly a decade after the war’s conclusion, the nation is at peace, the average life expectancy is 77 years, and democracy is strong with peaceful transitions of power being observed between incumbent governments and former oppositions. I, on the other hand, was born into a pleasant suburb of Miami a year into the millennium. Unlike the peers of my father in his youth, I grew up with access to all the amenities a growing child might ever need, and then some. 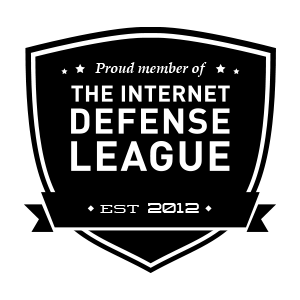 I’ve never faced enmity from anyone on the basis of ethnicity, race, or first language like my father did before me, and I have access to nearly unlimited information about the world around me. It’s a world I sometimes fear I take for granted and a world that I wish my father was still around to enjoy. Perhaps the problem of complacency is one that will never be solved, for so long as progress is made, there never will be a time where a child born elsewhere that doesn’t succumb to illness makes us as glad as losing one of our own makes us sad. This post was inspired and adapted from an answer I wrote on Quora.com in response to: What are your most controversial or unpopular opinions?